ICFC and Panamanian field partner ADOPTA led a donor expedition into ADOPTA's remote Cerro Chucantí reserve in the Darién region of Panamá in January. 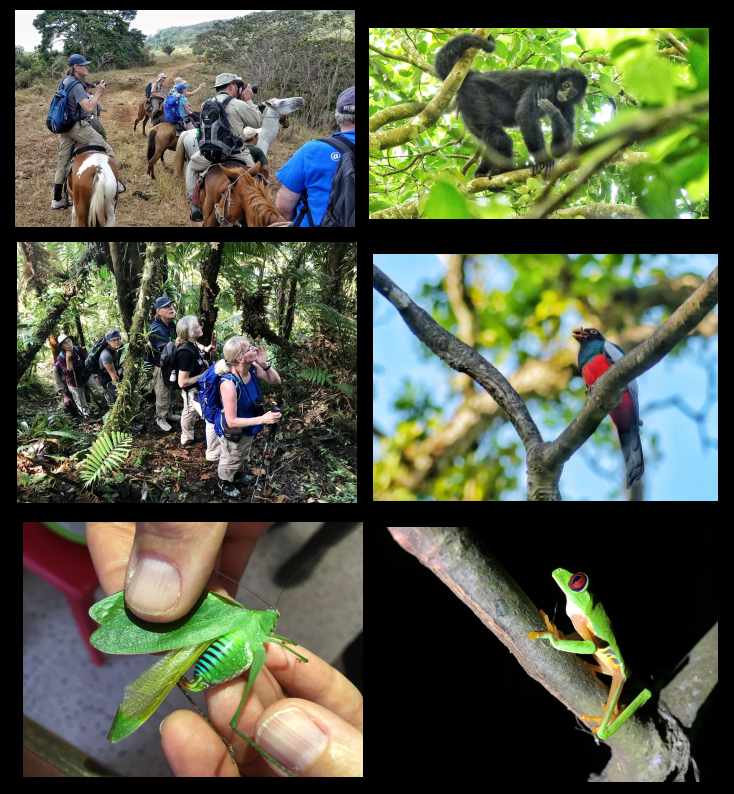 The trip offered participants an opportunity to experience and explore a remote montane/cloud forest habitat and its unique wildlife. The expedition was a tremendous success, as participants were able to observe and photograph such unique and beautiful species as the Critically Endangered black-headed spider monkey (Ateles fusciceps) and slaty-tailed trogon (Trogon massena), both shown to left. They also observed a yet-to-be formally described species, Pristimantis sp. aff. cruentus. 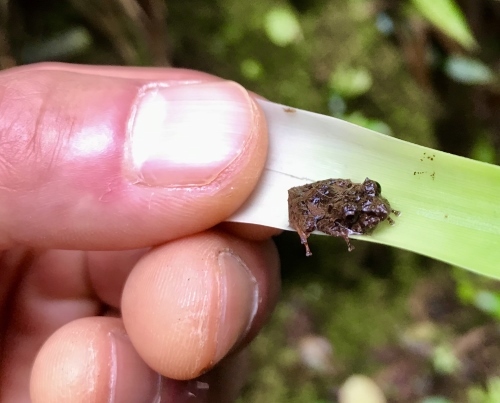 This tiny frog (shown below) is restricted to the area of 1,200 m to 1,444 m elevation at Cerro Chucantí (basically, around its peak)— an example of how small species ranges can be in the tropics and how vulnerable such species can be as a result. Trip participants included naturalist Brian Keating and his wife Dee. Hear Brian's account of the trip on this CBC radio podcast! Photo credits: Brian Keating (all photos in collage) and Godwin Lai (Pristimantis sp., below).